Desc: 14 karat yellow gold Amethyst and diamond pendant. The Round Brilliant cut diamond is bezel set below the stationary bale. 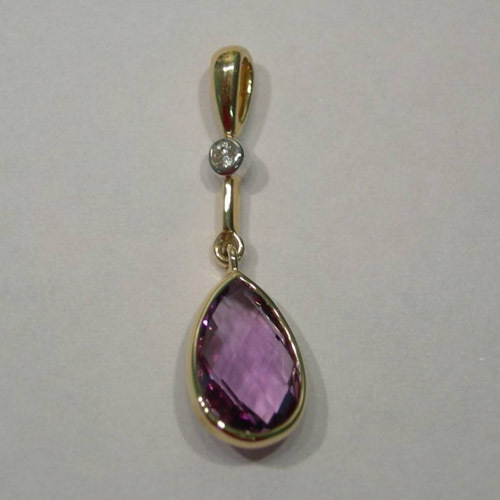 The scissor cut pear shaped Amethyst is bezel set at the base of the pendant. There is a jump ring connecting the Amethyst bezel to the pendant allowing for freedom of movement. The pendant has a bright polish finish.